Lots of money; empty pews. While panic and hysteria are the order of the day for the Catholic Church in the USA things are little better in Australia where the trial of Cardinal Pell is eagerly awaited by everyone everyone who isn't a Catholic under holy orders. It has now been revealed after a detailed investigation by the Sydney Morning Herald that the church lied to the Royal Commission into Institutional Responses to Child Sexual Abuse to conceal the true scale of its assets in an attempt to avoid paying adequate compensation to its victims. They had claimed that increasing the payments would put a strain on church finances, necessitating cuts to their social programs. The trick the church used was to value its buildings at the value they were bought for - often in the late 19th and early 20th Century - taking no account of increases in land and property prices in the century since. They also discounted some property prices on the grounds that they were used for missionary work and not for profit. These figures confirm what we have known; there is huge inequity between the Catholic Church’s wealth and their responses to survivors. The 600 survivors registered for our Foundation’s services continue to experience minimal compensation and lack of comprehensive care in relation to their Church abuses. They say their needs are the lowest of church priorities. 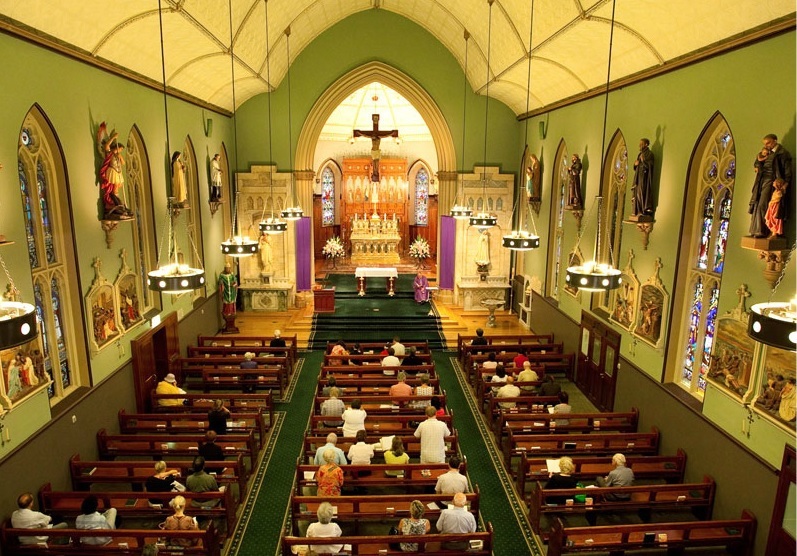 The Sydney Morning Herald investigation has shown that in Victoria alone, including metropolitan Melbourne, the Catholic Church has assets with AU$7 billion. As well as hospitals, churches and schools, its assets in Victoria include offices, conference centres, car parks, mobile phone towers, tennis courts, and a restaurant. In New South Wales, the Church has 160 Church-owned nursing homes and more than 550 schools and in Queensland it also has a large network of hospitals, nursing homes and schools. It also has large and valuable intangible assets such as the Catholic Church Insurance and its own internal banks - often known as Catholic Development Funds - with nearly AU$1 billion in assets in Sydney alone. It also has investments in telecommunications, superannuation and stocks; a Church-owned equity fund has more than AU$1.4 billion under management. The investigators for the Sydney Morning Herald estimated that, conservative extrapolated nationally, these figures reveal that the Catholic Church is worth at least AU$30 billion. The archdiocese of Sydney declared assets of just AU$1 to the Royal Commission claiming it had complied with the law and citing 'missionary purposes' as the justification for excluding many of its assets. The Melbourne diocese also undervalued its assets and in 2013 failed to provide any asset information to a government enquiry. Although the Church presents itself as a single institution when it suits them, for instance, describing themself as Australia's largest employer, they have a Byzantine and secretive structure making it difficult to identify a legal entity for abuse survivors to sue. As well as 28 administrative dioceses they have dozens of autonomous religious orders. Previous investigations have found it difficult to get accurate financial information because of non-cooperation and obstruction and because the financial structure is so complex. It seems though, that as well as abusing minors and covering up and facilitating those abuses, and despite the Pope's declared sorrow and distress at the harm done to their victims by his clerics, the Catholic Church is quite prepared to cheat those victims out of the compensation they deserve by ignoring the commandment not to bear false witness and systematically lying to a Royal Commission. New Structure Evolved in Just 36 Years! Pope Francis to Protect the Guilty?